Need a Railroad Injury Lawyer? If you have been injured in a railroad accident, knowing your legal rights can provide both financial relief and peace of mind. There are over 3 ,000 injuries from railroad accidents reported each year in the United States. We are currently evaluating all personal injury claims throughout the U. S. Victims of accidents, negligence, and personal injury have the right to seek compensation for their injuries, damages, loss of wages, and medical expenses. Railroad injury accidents can cause life-threatening physical injuries and trauma that can include financial damage to victims of negligent drivers. Injured victims must deal with large and unforeseeable medical expenses, loss of wages, pain, suffering and loss of quality of life. Family members also can suffer economic loss, mental anguish and loss of companionship in caring for an injured family member. Many Train injuries occur due to negligence on the part of one of others involved. When an accident is caused by another party’s negligence you are entitled compensation for medical expenses, pain and suffering as well as other damages. 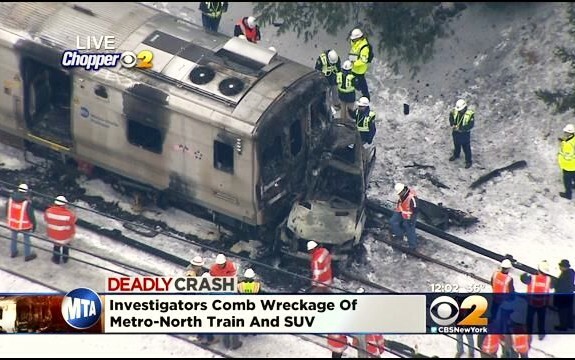 Approximately 1,000 people die in train accidents every year. More people are injured per railroad accident than those injured in individual car crashes each year. The National Transportation Safety Board reports 60% of all railroad crossing deaths occur at unprotected crossings. The National Transportation Safety Board reports 80% of all railroad crossings are not protected by safety gates and lights. Nationwide, only 36% of public crossings have gates. Railroad crossings exist in all 49 continental states, with the leading five states being Texas, Illinois, California, Kansas and Ohio. $5,250,000 Wrongful Death settlement in a passenger train derailment. $1,500,000 Jury Award for railroad worker suffering from mesothelioma cancer. $2,500,000 Settlement for a Switchman, Shortline Railroad Wrongful Death. $1,825,000 Verdict for an Engineer, Back and Neck Injury. $1,100,000 for a Carman vs. Union Pacific Railroad, Knee Injury. $987,000 Settlement for a conductor for low back injuries sustained while setting a handbrake on a railroad car. $750,000 Settlement for a former conductor, retired 12 years prior to his death was granted this settlement for lung cancer. $12.3 million Jury Award – Railroad Insulator and construction worker died of malignant Mesothelioma cancer.